Are you blogging these days? Just about everyone is doing it from housewives to teenagers. 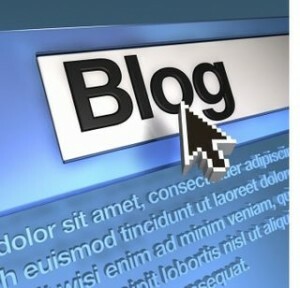 As a business owner, you would benefit from a blog as well. Blogs are not just for people who want to share have an outlet for their opinions. Blogs started off as simply online journals for friends and family but they have evolved into so much more. The recent attention that mommy bloggers are getting is proof of that. Think about the impact blogging could have on your business. There are many advantages to starting one. If you are already writing content for your website, a few more pieces for your blog won’t hurt. Besides, you can write them ahead of time and schedule when each one will appear. That alone, saves a lot of time (if you were worried about that). 1. Let your readers and customers see who you are. A blog gives you a place to “let your hair down” so to speak. While your website is all about business and making the sale, your blog can have a less structured feel to it. Here is where you can share personal stories about your ventures into the business world and lessons you have learned. 2. Customers can give feedback to you. Unless you hear from the customers, how do you know whether you are still meeting their needs? A drop in sales is not the way to find out that your customers are unhappy. Pose questions, implement surveys and ask for suggestions from those who are the foundation of your business. 3. You have a place to provide resources. Let’s say that one of your customers wants to get into business online or use some of the methods that have made you a success. On your blog, you can post your own helpful links. Another option is using tools like Google AdSense. While you are providing help for your readers, you are also creating a stream of passive income for your business. 4. It is easy to do. Using sites like WordPress, you gain access to a lot of free features to enhance your blog. You can get up and running in a day or so. 5. Ask business associates to blog for you on occasion. Guest bloggers give readers a chance to hear from others in the business world. Also, it saves you from having to write all of the posts yourself! Having a blog is like a talk show once the cameras stop rolling. You can interact with your loyal readers and customers. It is a dedicated place where they can come to hear from you. Link your website to a blog today.